MyC4.com switched today from closed beta to public beta. Now it is possible to browse the site without registering. For example click on one of the opportunities on the left of the screen and you get a good idea of the concept. 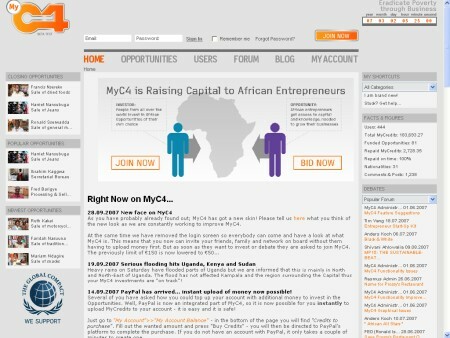 MyC4 allows lenders to do microlending to entrepreneurs in Africa. Lenders do get paid interest. Check the previous P2P-Banking coverage of MyC4.